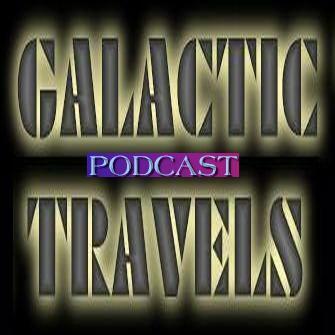 Galactic Travels Podcast #8 is an interview with Dean De Benedictis and Vic Hennegan. In September of 2011, Dean De Benedictis and Vic Hennegan came from L.A. to perform on some radio prograns and at some concerts on the east coast. The first of these was a live radio concert from the studios of WDIY on show #756, broadcast on September 29, 2011. This interview came from the beginning of that broadcast. This Podcast is Copyright ©2011 Bill Fox. All Rights Reserved. Galactic Travels Podcast #7 is a radio concert by Dean De Benedictis and Vic Hennegan. In October of 2008, Dean De Benedictis and Vic Hennegan came from L.A. to perform at a concert on the east coast. Prior to that, they played a live radio concert from the studios of WDIY on show #602, broadcast on October 16, 2008. This Podcast is Copyright ©2008 Bill Fox. All Rights Reserved.